Marketing your business doesn’t have to be an impossible task. It also doesn’t have to take up a ton of your time either. In fact, by following the below tips, you will soon find that you can get a huge boost to your popularity without having to spend hours over each idea. Market research really is a key part in developing your market strategy. It’s all about collecting information and giving your customers the valuable insight they need to understand your buying pattern. In addition to this, market research also gives you the chance to try and get a sales forecast and it can also give you the chance to monitor the market trends. 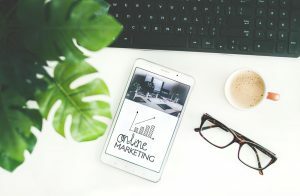 This can be invaluable if you run your own business and it can also help you to develop the other marketing strategies that you have as well. Trying to promote your product or even your service to everyone in the world can be costly and it can also be ineffective. You need to try and group or even segment your customers based on their characteristics as this will help you to make the most out of your marketing efforts. You also need to think about your customer geography, their demographics, their loyalty and even their behavior as well. Lifestyle, social class and personal values can also be taken into consideration. At the end of the day, it doesn’t matter who you market to because your target market needs to have a need for your product and they also must be willing to pay for it as well. USP stands for unique selling point. This is the reason why your customers buy from you instead of your competition. It is also what makes your business stand out from the crowd so it is important that you know what you do differently. It also helps to understand how your special knowledge or even your skills affect your customers. If you want to find out what your unique selling point is then you need to work out what you love most about your product or even your service. You also need to work out why your customers come to you over your competition. Think about it, what aspects do you generally highlight when you describe your company to a complete stranger? Things like this can really help you to make the most out of your marketing and they can also help you to gain a better understanding of what you are trying to offer. Every single business out there needs to have a brand. A brand is far more than just a logo, a color or even a tagline. You need to make sure that your brand connects with your customers on an emotional level. This can work wonders for your company and it can also help you to benefit more from the strategies that you have in place. If you have never taken the time to analyse your brand or if you have never sat down and thought about what your brand means to you then it’s now time to get that done. Your marketing avenues can include your website, your blog, your flyers and even your brochure as well. You also need to think about your networking events, print advertising and even word of mouth. Some businesses employ cold calling but this isn’t for everyone. Either way, you need to explore each avenue, work out if it is an option and then compare it to the customer base that you have. This will give you the chance to market much more efficiently and it will also help you to have a much greater level of control over your strategies. Marketing goals should help you to define what you want to achieve through your various activities. Marketing without a goal is like trying to beat a record without knowing the high score. It’s difficult, and you’ll never know if what you are doing is working. When setting your goals, you have to make sure that they are measurable, attainable, time-based and relevant. You also need to allocate a budget for your activities. For example, website maintenance will cost you over time and you may even need to work on your SEO strategy as well. By working out which goals are more important to you, you can then begin to plan out how much of your budget you want to allocate to each marketing aspect. Of course, if you have never thought about tradeshow exhibits, then now is a great time to start. 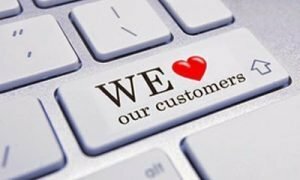 Your customers are the key to your business success. For this reason, you have to make sure that you look after them as much as you possibly can. You also need to make sure that you encourage them. This is the best way for you to get the loyalty you need, and it is also a great way for you to stop them from going to your competition. If you want to build your customer loyalty then you can easily communicate with them on a regular basis and you can also provide them with some after-sales follow up. You also need to make sure that you deliver on any promises that you have made, and that you also go the extra mile to exceed their expectations. If you don’t monitor your marketing activity then you can’t hope to get anywhere fast. You need to review the marketing plan that you have every three months and you also have to make sure that you are constantly adapting your strategy so that it meets the needs of your customers. For example, if a new competitor has entered the market then you might want to take this into account when using Facebook ads or any other similar form of marketing. 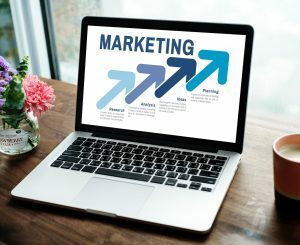 You also need to check to see how your sales figures are changing as the result of your marketing too, as this can have a huge impact on your business.